Focus is the difference between an effective business development strategy and one that doesn't hit revenue goals. An effective sales enablement strategy aligns content, technology and processes to sell more efficiently at a higher volume. Without focus, your sales enablement process is disjointed and inefficient. 73% of respondents said, "demonstrated a stronger knowledge of our company and its needs." 66% said, "demonstrated a stronger knowledge of the solution area and the business landscape." So how can you demonstrate your knowledge of your prospect's wants and needs? By focusing on market niches for which you have the experience and specialized knowledge to deliver excellent results. In other words, focusing your business development on high-probability buyers. The tool by which you communicate your ability to add value to your customers and prospects is a positioning statement. A positioning statement is the centerpiece of your business development strategy. It clearly and succinctly defines your unique value proposition to customers and potential buyers. Your positioning statement answers 4 questions that define your value to a focused group of potential buyers. While the positioning statement seems simple, it requires careful thought and collaboration to develop. Why? Because your positioning statement is how you differentiate yourself from everyone else. A common result of a poorly thought-out positioning statement is that you sound like everyone else and you don't differentiate yourself. Let's take a closer look at the 4 elements. On the surface this seems simple. You're a cybersecurity company. Or your a management consultant. The problem is that these types of literal descriptions don't help differentiate you from your competitors. What you're really trying to define here are your core competencies. Here are some of the questions to consider when defining your core competencies. Which of your capabilities provide the most value to your customers? What do you do better or more efficiently than your competitors? Which of your services can your customers not do if they invest internally? Do you want to be hired for what you do (service/delivery) or what you know (strategic/advisory)? It's important to be honest in evaluating these questions - if your actions don't match your words, you will quickly be exposed as a fraud. Although the answers to these questions are complicated, you need to boil it down to the essence for your positioning statement. As Shakespeare said, brevity is the soul of wit. Today's buyer is looking for specialists, not generalists. Your positioning statement should demonstrate your value to a specific market niche. Here are some questions to consider as you define the "who" part of your positioning statement. Which industries or market segments do you know best and have experience in? What types of businesses seek you out? Who are your clients' customers? The objective here is to zero in on the types of clients for whom you can add the most value. These businesses are typically the ones that are your most profitable clients. 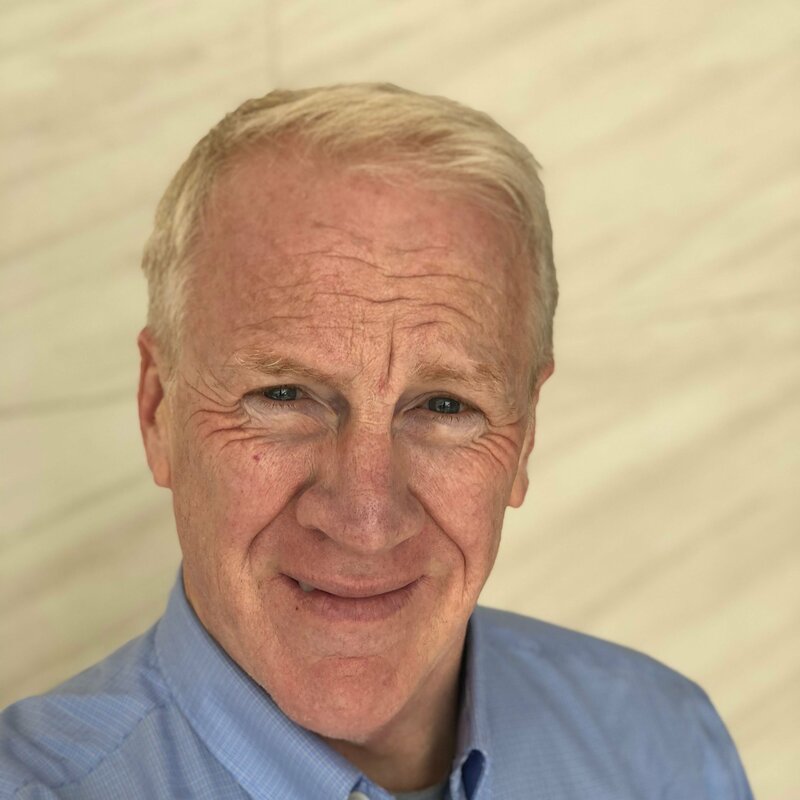 In addition to being an important part of your positioning statement, the "who" that you best serve is the foundation for a lead qualification process that ensures you focus on high-probability buyers. Part of what makes you unique is how you service your customers and the "how' is an important part of your positioning statement. Here are some things to ask yourself when you're articulating your unique service approach. What philosophies and methods do you follow to service clients? What are the standards (formal and informal) by which you make decisions on how to service clients? What are the standards (formal and informal) by which you hire, educate and promote employees? Do you have a unique way of thinking or unique working processes? What are the things you would never do when servicing clients or managing employees? Can your employees recite your company values? Don't fall into the trap of sounding like everyone else - go beyond the obvious answers when defining how you uniquely service clients. Your calling is an opportunity to separate your organization from the sea of sameness that we see every day. Here are the things to consider when defining your "why". Besides profits, why are you in business? What problems do you solve and why? What is the purpose and meaning of what you do? What would you like to create that never existed before? What type of lasting contribution do you want to leave? While this may seem a bit "touchy-feely" to some, your calling provides true differentiation and a foundation for everything your business does. Some of the most successful businesses ever have been defined by their calling - think Apple, Tesla and Amazon. Once you have a tightly defined positioning statement, embed it in all of your customer-facing communications. Your website, blog, social media and email marketing should all include your positioning statement. We do WHAT for WHO by HOW because WHY. 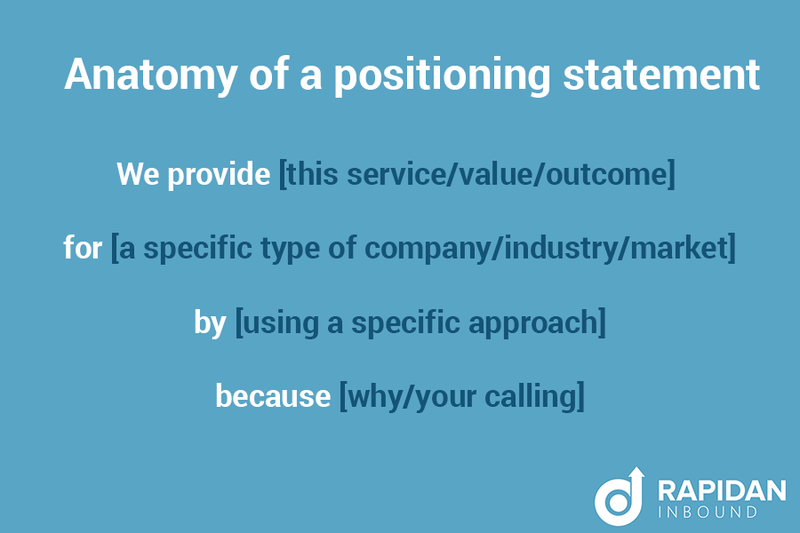 How can you test the effectiveness of your positioning statement? Ask people you know and trust to do the blink test. To administer the blink test, ask people to navigate to your site, blink their eyes and ask them if they can describe your positioning statement within 5 seconds. If they can't, you need to tighten up your positioning statement. Because that's what potential buyers are doing - when they come to your site, they decide within five seconds whether to check you out or move on to the next possibility. For B2B buyers, there's more noise in the marketplace than ever. A clear positioning statement that shows how you add value to your market segment is what you need to cut through all the noise. Learn how to sell more efficiently at a higher sales volume.